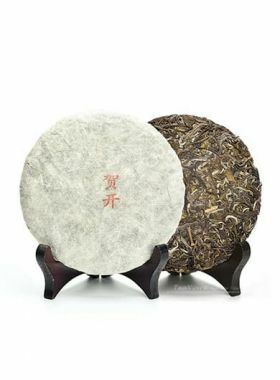 fat tea leaves with lots of white hairs on the surface and inside the cake. producing a copious secretion of saliva. Combining the features of Ba Qi (霸气：it is a term to describe the strength of the tea over other teas), sweet and soft taste, this raw Pu-erh tea will offer you a sense of excitement on its taste. 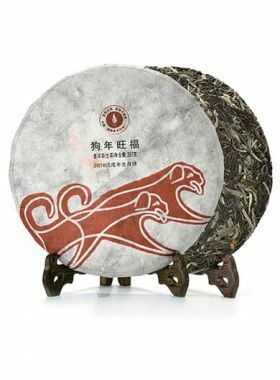 Teavivre’s Fengqing Da Xue Shan (Big Snow Mountain) Raw Pu-erh tea is made of leaves from Fengqing large-leaf tea bushes between 100 and 300 years of age. 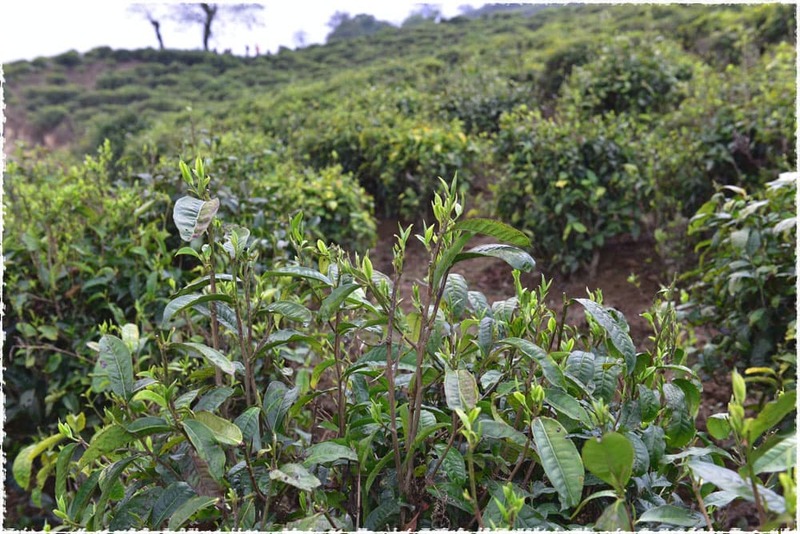 The leaves for this tea were picked between March and May of 2016, with the standard of one bud with one or two leaves; only Grade 1 leaves are used, specially and carefully crafted using traditional processing methods. This raw cake is named for Da Xue Shan mainly because some of the original material comes from the beautiful town of Xueshan, situated in the southern part of Fengqing County. The highest point here is about 3100m above sea level, and the lowest is 1200m. When compared to other raw pu-erh cakes produced in 2016, our Da Xue Shan has a characteristically strong “ba qi”, with its fullest flavor coming out around the fourth infusion. 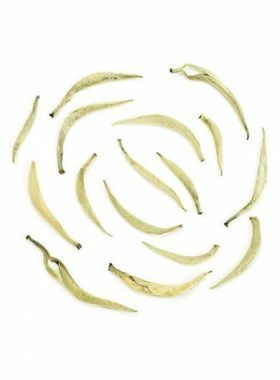 This tea has a prominent bitter character up front that quickly melts into a sweet aftertaste, going down smoothly and leaving an enjoyable fragrance in your mouth; this bitterness almost completely fades in later infusions, just as the sweetness becomes more and more prominent. In the end it carries a strong, heavy honey aroma, most noticeable when smelling your empty cup after brewing. 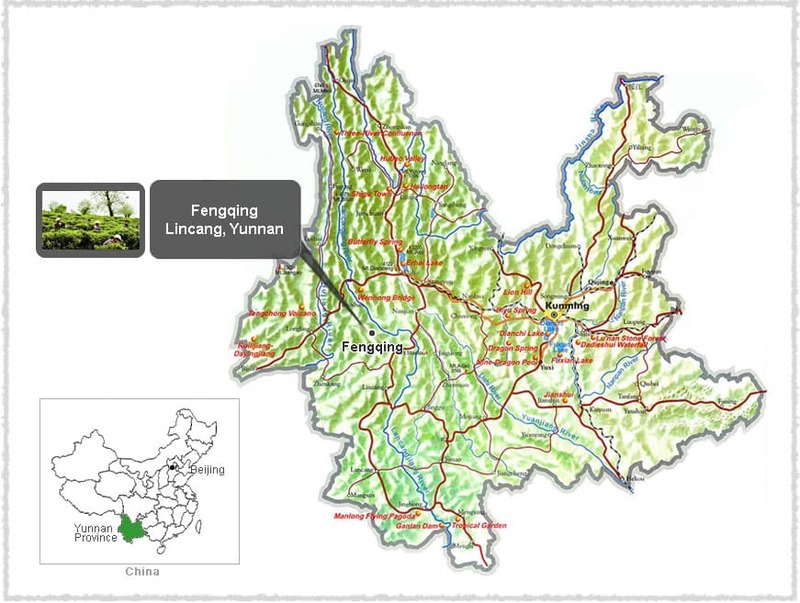 Mengyou and Xueshan towns are located in Fengqing County, Lincang City, Yunnan province. With an average elevation higher than 2km above sea level, this area is blanketed with many large-leaf ancient tea trees. At these heights trees tend to grow more slowly, but produce tea of noticeably higher quality - which in turn leads to the saying that “good tea come from high mountains”. The trees here are nourished by the beautiful Lancang River, giving the trees a finer texture and thick taste, rich in water-soluble extractives that can be coaxed out of the leaves over many infusions. Along with this, pu-erh teas from this region feature a smoother taste and long-lasting fragrance. An authentic Yunnan farmer, Mr. Zhou has been avidly contributing to the tea business for over twenty years. A short chat with him revealed to us his passion for crafting tea and his insistence on using traditional production methods, and that he values the essential quality inside the trees. Mr. Zhou is passionate about bringing out that nature, to share it with tea lovers around the world. He also claims that the best environment for growing perfect tea trees is right where he lives in Fengqing. This raw pu-erh cake comes from the representative pu-erh production area, Fengqing, located in the southern part of the Dianxi Longitudinal Valley. 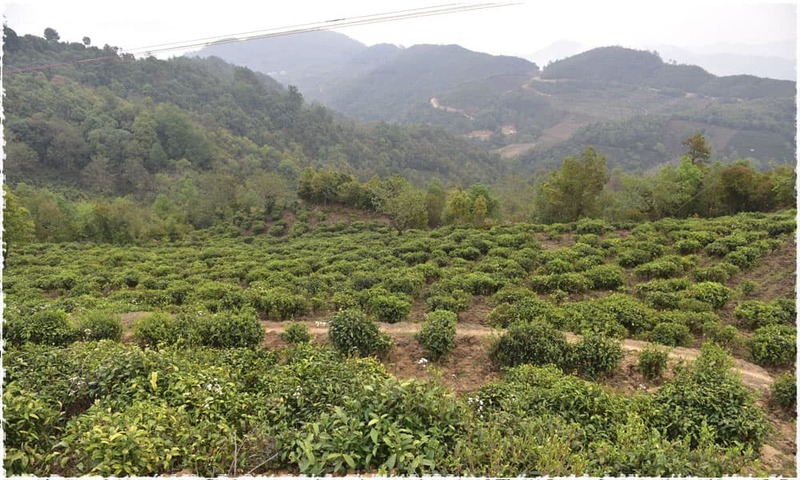 Fencing is a country in the northwestern area of Lincang, one of the four famous pu-erh production regions (with the others being Xishuangbanna, Pu’er, and Baoshan), and is one of the original tea-producing regions in the world. 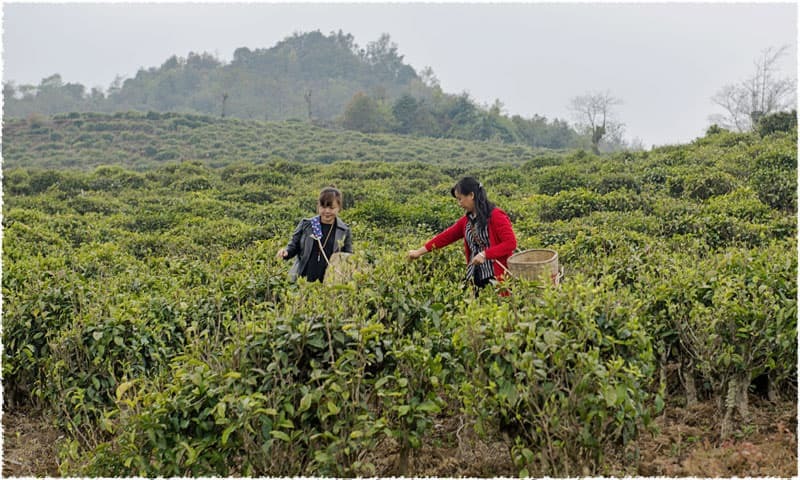 It is also famous as the hometown of Yunnan black tea, with a long history of planting, producing, and drinking tea, and features a throng of mountains webbed with beautiful rivers. This pu-erh tea is made from the Fengqing large-leaf varietal, belonging to the Yunnan large-leaf species. This particular plant can grow to over six meters tall. 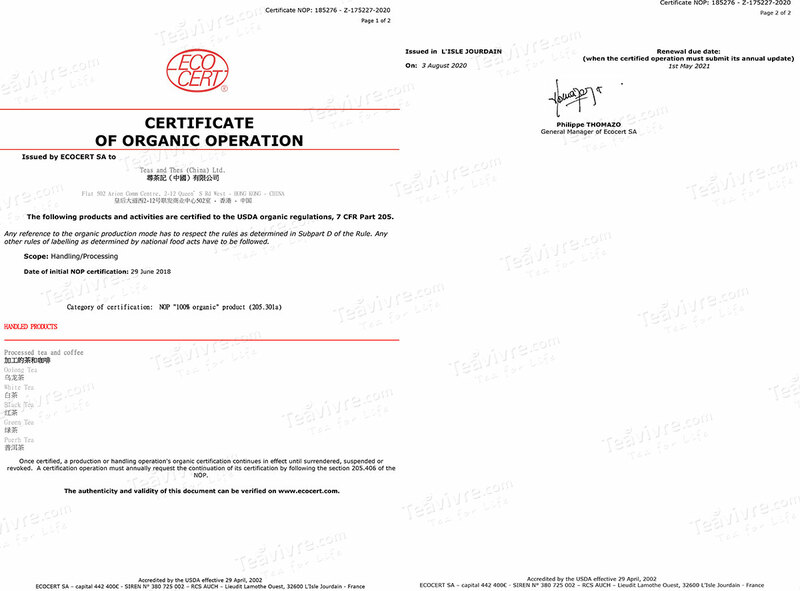 In 1984 it was certified by the Chinese government as national-grade, and contains an abundant amount of tea polyphenol and catechin: 30.2% and 13.4%, respectively. Pu-erh tea is one of the oldest types of tea in China, with a history stretching back over 1,700 years to the Eastern Han Dynasty, when the tea was called Jing Cha. Pu-erh is named after the town of Pu’er in Yunnan province, which was the original trading center of this tea. In its early history, this tea was actually used as bartering currency in southwest China, where the famed Cha Ma Gu Dao, “Tea Horse Road”, was built for the sole purpose of transporting it through the Himalayas to other countries and areas in Tibet.